Ever wondered what people are talking about when they use the words “The gospel of Jesus Christ”? The Gospel is the Power of God unto salvation – it is how people are saved. And by the way it says that everyone that believeth – not everyone who does enough good stuff, but everyone that believes. So that tells us what the Gospel does (gives salvation), and also that it comes by believing, but what IS the Gospel. The Apostle Paul wrote a letter to some people in a city called Corinth, and in that letter he explains it. Paul says here that he will declare the gospel – or tell us what it is. Before He actually tells what it is, he again states what it does: It saves. Then Paul tells us what he has delivered as a preacher of the Gospel: Christ died for our sins; and that Christ was buried, and then Christ rose again from the dead. That is the Gospel that Paul preached. Can I put it very plainly? Salvation comes by believing that Jesus Christ died for our sins, and that He rose again. Jesus was no ordinary man – the Bible tells us that He is God. 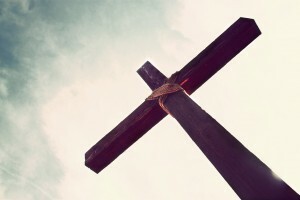 Jesus dying on the cross for your sins and mine was acceptable payment for our sins. You can find these things by searching the Bible – as Paul said, all this was “according to the Scriptures”. So there you have it – the Gospel in 90 seconds, according to the Apostle Paul, a great preacher, and the man who wrote half of the New Testament as he was moved to by the Holy Ghost. There is more, but my time is up.